Nurses have always cared for individuals, families and communities in their practice. Recently, there has been an increase in the number of nurses working outside the hospital, primarily in community-based settings that focus on individuals and families. There is also increasing emphasis on community-focused nursing care with the community as the client. Moreover, public concerns regarding quality, cost, access and fragmentation of health care have contributed to a shift in care from the more traditional acute care settings to the community. This has led to changes in nursing practice. Changing demographics, changing disease patterns, an increase in chronic illnesses resulting in underestimated health-care expenditure, a reform in the health financing system, and a renewed focus on health promotion open up new opportunities for providing community-based care in community settings. Healthcare in the context of the community represents an alternative mode of health-care delivery. Emphasis is placed on promoting health and access to care by addressing the health-care needs of people where they live and work. Moreover, local community needs, resources and preferences of the people drive community health services. In any country, the health services/family health/disease prevention and health promotion provided to the community are delivered through the available community health service system. Practical nursing, the most basic level of nursing practice, began with the industrial revolution of the late 1800s. To meet labour workforce demands during this time, many people moved from rural areas to urban areas. Women needing employment often provided domestic services, including those associated with caring for the sick. To support the skills of this new healthcare provider, in 1892 the Young Women’s Christian Association (YWCA) located in Brooklyn, New York, offered the first formal practical nursing course. Over time, landmark reports about the state of nursing education contributed to the development of practical nursing programs. 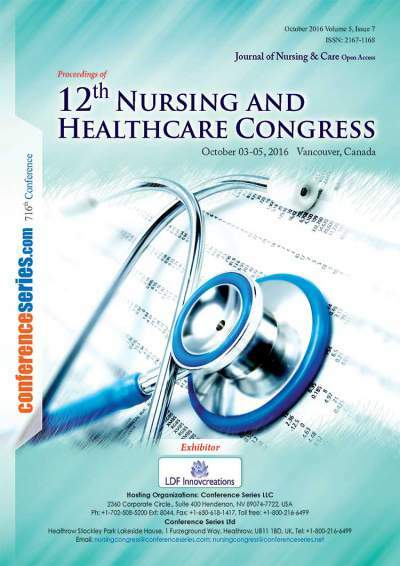 Since the first half of the 20th century, the scope and function of practical nurses have become increasingly sophisticated. 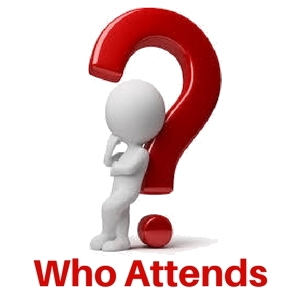 They are licensed to practice either as licensed practical nurses (LPNs) or as licensed vocational nurses (LVNs), and they work under the supervision of registered nurses. Nurse practice acts for the practical nurse vary from state to state, but generally, the practical nurse is responsible for stable patients and patients with common health conditions. They also are responsible for collecting and reporting abnormal data, offering suggestions for developing and changing nursing care, providing bedside care, teaching health maintenance, and participating with the healthcare team in evaluating nursing care. Community midwifery practice is woman oriented and focuses on excellence in the processes and provision of women’s health care, with a primary goal of improving maternal and child health. Community midwives promote the discipline of midwifery through professional actions that benefit women and their families while allowing adequate personal time for reinvigoration for this important work. Midwives are blessed with a passion for their work. It is the thoughtful and skilled expression of this passion that women under midwives’ care so appreciate and that has helped the discipline of midwifery to thrive. Traditional midwifery care is based on providing care that fosters the physiologic processes of labor and birth. Modern midwifery and women’s health care builds on this physiologic non-interventionist foundation to include interventions only as necessary and as indicated by the individual woman’s condition and preferences. Determining which interventions are “necessary” and when they are “indicated” defines our individual practice as midwives yet can also be a function of the environment of care in which the midwife practices. Public health is compressive in scope. It relates to or encompasses all community and individual activities directed towards reducing factors that contribute to the burden of disease and foster those that relate directly to improved health. Its programs range from Immunization, health promotion, and childcare to food labelling and food fortification to the assurance of well-managed, accessible health care service. The planning, management, and monitoring functions of a health system are indispensable in a world of limited resources and high expectations. This requires a well-developed health information system to provide the feedback and control data needed for good management. It includes responsibilities and coordination at all levels of government and by non-governmental organizations (NGO’S) and participation of a well-informed media and strong professional and consumer organization. No less important are clear designations of responsibilities of the individual for his/her own health, and of the provider of care for human, high-quality professional care. The function of administration is an essential factor in the development of any service. It provides the mean whereby the most effective use can be made of the knowledge and skills of those giving the service. The advancement in the art of administration is comparatively less than that of nursing services. Indeed, there is ample evidence from studies, which have been made in many countries that better use can be made of the skills acquired and of the energy and enthusiasm of the men and women who make up the nursing team. Unless the training of the professional nurse includes a study of administrative practice, when she reaches a position of authority, she is ill-prepared, for it. It must be remembered that administrative practice is not confined to the top level of authority, that all who occupy positions, which call for the planning and direction of the work of others need to exercise administrative skill. The nurse preparing to care for today’s and tomorrow’s children and child-rearing families faces vastly different responsibilities and challenges than did the pediatric nurse or even a decade ago. Nurses and other health professionals are becoming increasingly concerned with much more than the care of at-risk and sick children. Health teaching; preventing illness; and promoting optimal (most desirable or satisfactory) physical, developmental, and emotional health have become a significant part of contemporary nursing. Scientific and technological advances have reduced the incidence of communicable disease and helped to control metabolic disorders such as diabetes. As a result, more health care is provided outside the hospital. Patients now receive health care in the home, at schools and clinics, and from their primary care provider. Prenatal diagnosis of birth defects, transfusions, other treatments for the unborn fetus, and improved life-support systems for premature infants are but a few examples of the rapid progress in child care. Occupational health nursing is a varied and specialized nursing practice in which occupational health nurses (OHNs) use their wide base of knowledge and skills to care for individuals in the workplace. Occupational health nurses can also make a major contribution to the sustainable development, improved competitiveness, job security and increased profitability in enterprises and communities by addressing those factors which are related to the health of the working population. By helping to reduce ill health occupational health nurses can contribute to the increased profitability and performance of organizations and reduce health care costs. Family health care nursing is an art and a science that has evolved as a way of thinking about, and working with, families when a member experiences a health problem. Family nursing comprises a philosophy and a way of interacting with clients that affect how nurses collect information, intervene with patients, advocate for patients, and approach spiritual care with families. This philosophy and practice incorporate the following assumptions: health affects all members of families, health and illness are family events, and families influence the process and outcome of health care. All healthcare practices, attitudes, beliefs, behaviours, and decisions are made within the context of larger family and societal systems. Families vary in structure, function, and processes. Families even vary within given cultures because every family has its own unique culture. People who come from the same family of origin create different families over time. Nurses need to be knowledgeable in the theory of families, as well as the structure, function, and processes of families to assist them in achieving or maintaining a state of health. There are many reasons why people are living longer. Advances in medications to treat diseases, immunizations to prevent disease, and new diagnostic techniques to assist in the early detection and treatment of disease are among the major reasons for the increase in longevity. The development of new medications occurs daily and aids in the treatment of illnesses that once resulted in disability and death, such as heart disease and cancer. Moreover, the ability to prevent diseases such as measles, mumps, rubella, chicken pox, and polio plays a great role in allowing children and young adults to enter older adulthood. In addition, improved economic conditions and nutrition, as well as a stronger emphasis on health promotion, have undoubtedly resulted in decreases in both illness and death among the population. Many theorists have questioned the key ingredients to living a long life. Environmental factors like poor water quality and access, exposure to toxic chemicals, vector-borne diseases, air pollution, climate change and degrade urban environment are all highly responsible for death and disability. Statisticians estimated the global death and disease rate due to pollution at 25% and even reaching up to 35% Sub-Saharan-Africa. This has a greater effect on the poor population of developing nations. A large number of these deaths can be avoided as many of these diseases can be prevented. However, effective action requires to be renewed moral commitment to sustainable development and determined political action through partnerships. Together we must translate our global knowledge on environment and health linkages into practice and action at the country level, incorporating environment and health considerations into economic, social and political decisions. There is increasing recognition of the need to develop urgent care outside traditional hospital settings. New models of service delivery have the potential to achieve excellent and efficient care close to, or even in, the patient’s home. This allows our urgent care system to be more tailored to patient needs and preferences, enhancing the experience and preserving hospital beds for those with the most serious and complex problems. However, there is still much to do, and many more patients who could receive care in more convenient and effective ways, closer to home. Hospital admission should be reserved for the most severely ill and injured patients, who need the concentrations of expertise and high dependency care that hospitals can provide. For the majority, ambulatory emergency care should become routine, however, this can only be achieved where it proves possible to implement whole system integration and coordinated care, supported by new technologies, rapidly accessible diagnostics and a workforce that has the necessary knowledge and skills. Nurses have served the Armies of the world proudly during war and peace. Wherever duty called the fighting man, it also called the Army nurse. Following every major training exercise, every deployment for combat experience. While nearly everyone acknowledges the general value, few fully appreciate the concept and process involved. Military nursing innovation as a term has been so overused and misused that it has resulted in a variety of meanings. While for some the term means simply observations, and others apply it broadly to any innovative and potentially performance-improving idea. 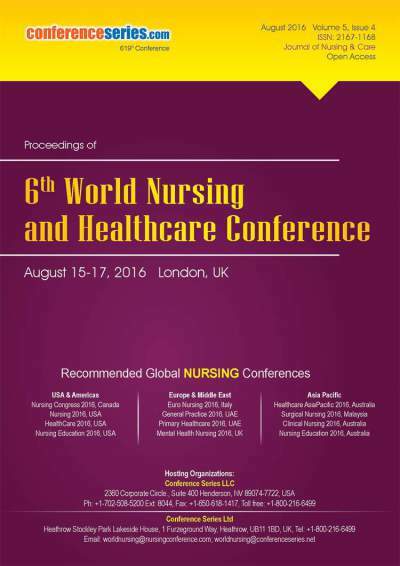 Starting with World War II and proceeding through the most recent conflicts, examination of available data proved that nursing activities during all conflicts could be placed into four categories: training or preparation, living and working conditions, innovations or improvisation, and redeployment or "going home". Descriptive epidemiology is concerned with both the frequency and distribution of a health outcome (or health-related exposure). In other words, how common is it, and who does it affect? The first question can be answered using measures such as incidence and prevalence. The second can be framed in terms of TIME, PLACE and PERSON. For example, we may describe the distribution of health outcomes by age, population, geography or over time. In his treatise ‘On Airs, Waters, and Places’, Hippocrates (460BC–377BC) recognized the importance of the environment in the causation of disease. Epidemiology as a discipline developed in the area of infectious disease control, through the statistical analysis of routine data to quantify the risk associated with unsanitary environments. The epidemiology of communicable disease and its application to Public Health is sometimes also known as ‘Health Protection’ (something of a misnomer given that all epidemiology is about protecting health through identifying and limiting exposure to risk factors). Psychiatric-mental health nursing is the nursing practice especially committed to promoting mental health through the diagnosis, assessment, and treatment of mental disorders, behavioral problems, and comorbid conditions across the lifespan. Psychiatric-mental health nursing intervention is the art and a science, employing a purposeful use of self and a wide range of psychosocial, nursing, and neurobiological evidence to produce effective outcomes. Social outreach and homeless outreach programs from around the world employ community health workers to address the shortage of other trained medical practitioners in vulnerable communities and to reduce health disparities. There are several promising studies showing that community health workers are an effective tool for reducing health disparities, improving health and reducing the cost of health care10-10. Recent research on the effectiveness of community health workers documents a reduction in the use of emergency services and a reduction of hospitalizations while client health improved, both empirically and self-reported. There is an increasing awareness of the need for prevention of substance abuse related problems. 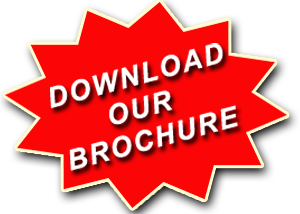 The psychiatric nurse is specially equipped to strengthen the bonds among citizens and parents, health agencies and schools, law enforcement and hospitals to assist the community in the design and implementation of its own prevention program. The nurse is able to facilitate the community's own vested interests in a manner congruent with its needs. 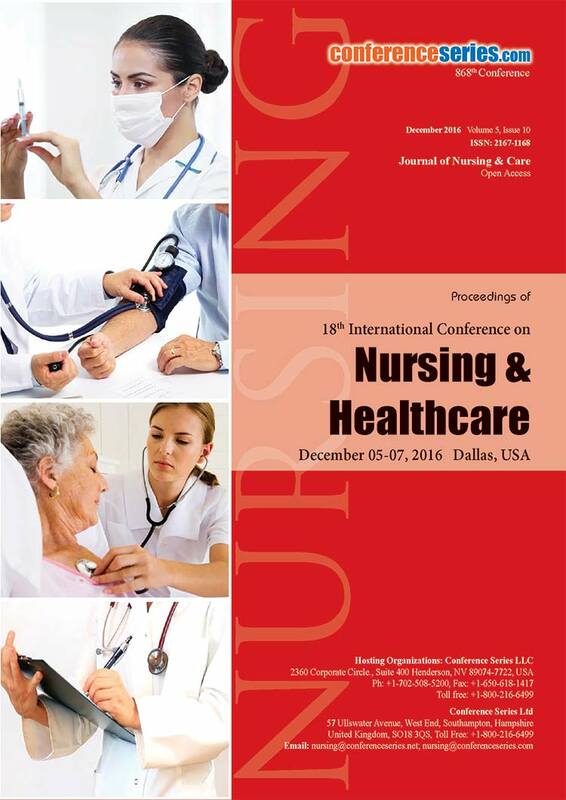 The nature and scope of nursing practice have traditionally included responses to health-conducive behaviour. 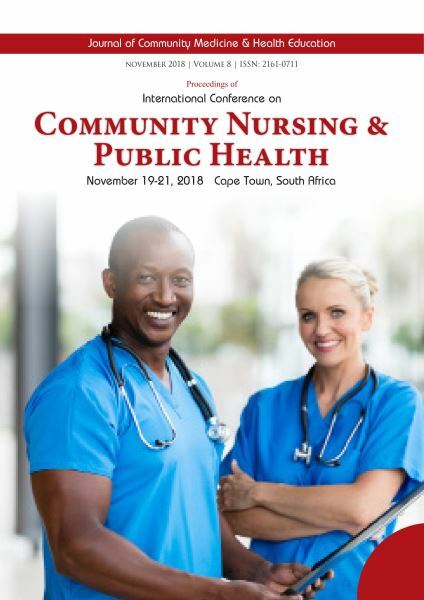 Community nurses emphasize self-determination and choice in health issues; therefore, substance abuse prevention efforts are likely to be incorporated by the community. The nurse provides the knowledge of addiction and assists the community in its health maintenance by using addiction theory, interpersonal counselling, research competencies and skills. Entrepreneurship is booming among nurses in the 21st century, and many of them are realizing that they can start small, medium, and large business ventures at any point in their careers. Nurse Entrepreneurs have the ability to use their nursing education and business insights to start new ventures within the healthcare industry. They can be useful in establishing, promoting and running their own startups. Some professionals can even use their expertise to develop medical devices, computerized systems, or home health products. To set out as a Nurse Entrepreneur, some key skills are necessary: creativity, business-oriented mindset, ability to find funding, identifying a niche market, as well as establishing a consistent customer base.